These Plus Technologies partners listed below are qualified to resell Plus Technologies software products. Each partner listed has experience with Plus Technologies software, completed training, has sold, installed and supported Plus Technologies software for customers in their specific geographic territories. Description: Printer Services has ISO 9001 certification for the sales, support and maintenance of printers and associated peripherals. Offers include: Managed Print Services, Audit and Optimisation, Supplies Delivery, Hardware Recommendation, Print Management Software, Document Management Solutions, Electronic Forms, Mobile Printing Solutions, and Consultancy. Primary Market(s): Italy, Italian Switzerland, Vatican State, San Marino Republic, and Croatia. Description: Certified to sell, implement, and support OM Plus Delivery Manager (DM) and optional modules into Italy. Since 1993 Shazam IT is an established benchmark for consulting, solutions and services in the area of information technology for businesses of any type and size. Solutions and services are mainly in the document (Output Management ) oriented space for maximum benefit of the customer. The solutions offered by Shazam iT come from the best international manufacturers and developers, while the services come from Shazam’s experienced employees, most with many years at major multinational computer science companies. Description: Certified to sell, implement and support OM Plus Delivery Manager (DM) and optional modules into Germany. clSysTech GmbH provides software products and IT services to diverse markets from small to large multi-national concerns. Specializing in Output Management, in particular for SAP © systems, Web Technology, cross platform solutions (Windows, Linux/UNIX, Java), business automation and tailored customer solutions. Description: CSC Informatik focuses on system and services for the financial industry in Switzerland. The owners of CSC Informatik are transitioning into retirement. They request that Swiss customers interested in output management software contact JomaSoft (local Swiss organization – highlighted on this page) or Plus Technologies directly. Description: Orion B.S. focuses on Centralized and distributed output Management. Transforms and Document Delivery. 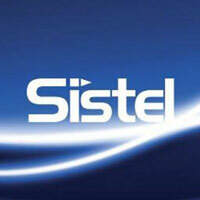 Description: Sistel, is a Spanish company founded in 1989. Sistel offers value add technology solutions focused on systems management and IT infrastructures. 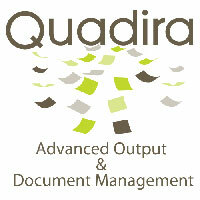 Description: Quadira is active in the Document Management market serving the Benelux countries. Quadira markets their own products as well as partner products such as OM Plus. Quadira products are focused on Document Development, Distribution and Archive Systems. Description: JomaSoft GmbH was founded in the year 2000. JomaSoft provides software products and IT services cross industry. Primary focus is on IT infrastructures using Solaris and Linux. Description: Printech is the developer of the CheckPlus software, a MICR laser check printing solution that integrates seamlessly with your financial and ERP systems to enable the printing of your checks using blank safety check stock and a laser printer. Printech can provide OM Plus in conjunction with or separately from CheckPlus.